Welcome to Pauline & Brain Engagement Session! Pauline & Brain met at a charity event for United Way. They were both immediately drawn to each other! 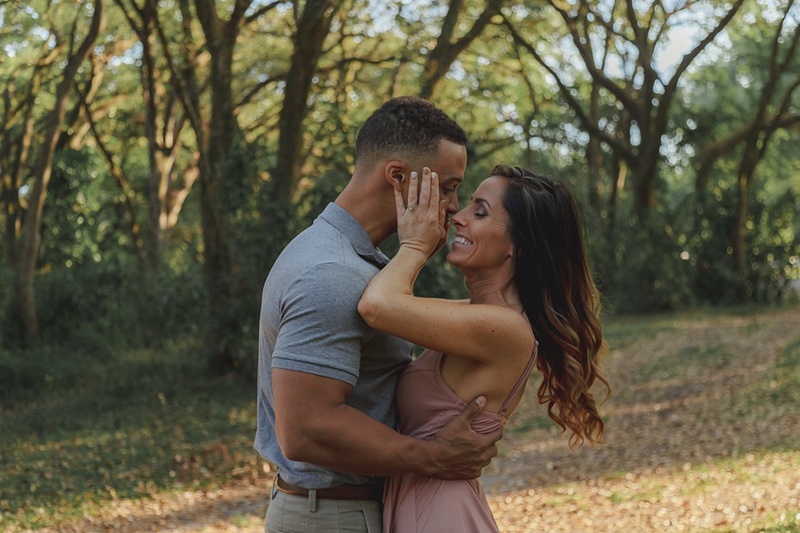 And you will see that love throughout their engagement pictures! 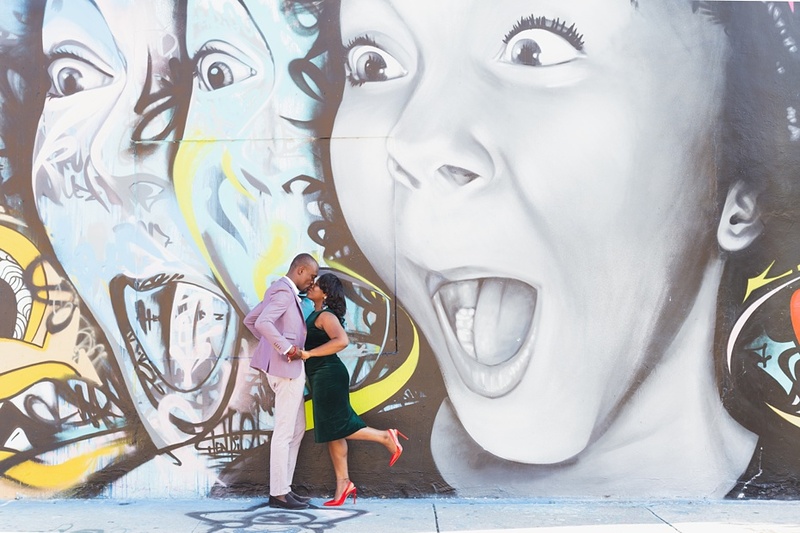 One of my favorite sessions Pauline & Brain were such an outgoing couple, filled with love, joy and laughter! One of their favorite thing to do as a couple they love going to the beach so of course when they told me that they wanted their engagement session at the beach! They didn't have to ask me twice to head to Coral Cove Park (Tequesta) my happy place for an engagement shoot! That’s where I photographed Pauline and Brian, and it was an absolute dream session in every way. We headed to the shore at around 6:00 pm just when the sun was setting, which made the light especially golden, soft, rich, and the ocean waters a deep blue color. I have no doubts that it’s going to be a beautiful day full of sunshine, love and joy on their wedding day! 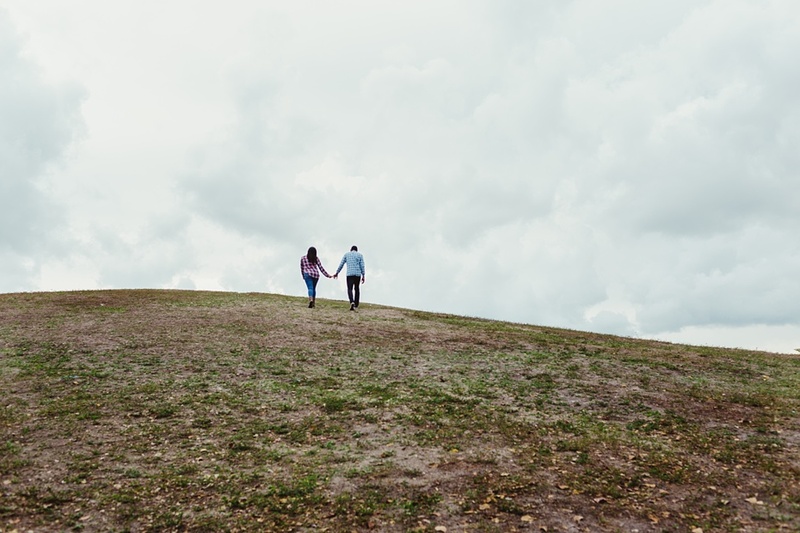 Without further ado I introduce you to Pauline & Brain Engagement Session! You don’t have to ask me twice to head to the airport called Signature Flight Support PBI and the beach my happy places for an engagement shoot! That’s where I photographed Jennyfer and Jose, and it was an absolute dream session in every way. Jennyfer & Jose wore matching outfits that said Mr. & Mrs. and used a vintage letter J marquee because they are known as the “J’s” their 2nd outfit change Jennifer wore the most beautiful flowing floral printed dress that she look absolutely incredible in, and Jose looked so handsome in his suit which blended into the scenery perfectly! Our love story began on August, 2016 when we, fortunately, encountered our profiles on an online dating site... yes, we did!!!. After exchanging few texts, we agreed to meet in person... literally three (3) days after the first text. We met after work at The Pub. Jose was sitting at the bar, waiting... (could you guess which J was pretty anxious?) then I arrived, and we really felt at ease after our introduction. At some point, early in the conversation, we said: "I am from Venezuela, and I am from Puerto Rico"... from that moment, we knew that we would get along like "Arepa con Bacalao" (a Puerto Rican song that fuses two (2) distinctive dishes from our countries "Borinquezolano style") Time flew that night, we were talking & laughing for hours, the chemistry was definitely there between us. Then, the time to say goodbye came, it was there when I knew, and He knew that we needed to see each other again very soon... and the rest, as they say, (no matter how cheesy it is) is history!! Every time I read their love story it put’s a smile on my face. 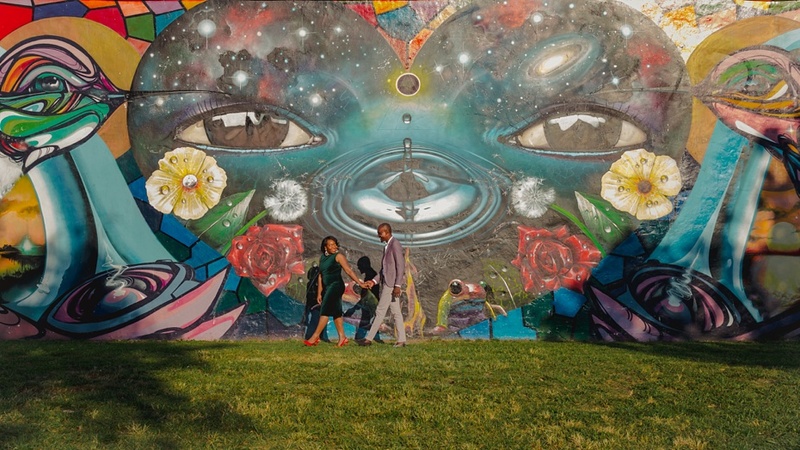 For they're wedding day in October these two lovebirds are heading to St. Raymond Church for their ceremony and then La Jolla Ballroom for the reception. I have no doubts that it’s going to be a beautiful day full of sunshine, love and joy!